have various ways to make money from a blog (Monetization and Profitability). It becomes more easy for you if you focus on finding a profitable blogging niche that satisfies Interest, Demand, and have different blog Monetization ways. Choosing a profitable Blogging Niche helps you to rank higher easily, easy to create content, and earn passive income from your best blogging niche. Finding a profitable blog niche helps you to make a money blog from affiliate marketing and high CPC ads. If you have skills in Computer engineering, Finance, and Insurance then your blogging life will be more profitable since Life Insurance Blog has CPC (Cost-per-Click) $32.80, Computer Engineering blog has above $4 CPC. Find out which blog niche is best to start money blogging in 2019. Best blog niche list for affiliate marketing. Learn how other bloggers are earning money from a particular blog niche. What are the blog topics to be covered for a blog niche? Most expensive and high-paying niche in both Adsense and Affiliate Marketing. The competition in this blogging niche is also higher, you need to write more quality content, more optimization, and more backlink to beat the competition. In the Insurance blog niche, advertisers (Insurance Company) are ready to pay higher than others too. Insurance, blog niche can be more profitable for you if you can rank higher by beating competitor since you can enjoy the cost-per-click ranging up to $30-$40 for a single Ads click. Start Car & Life Insurance Blog for more profit. How to Make Money with an Insurance Blog? Insurance Splash is a popular blog in an Insurance niche that focuses on helping both Insurance Companies & Insurance Agents. Estimated Revenue of Insurance Splash is $50 per day & $1.500 per month from Referral Marketing, & Sponsorships, & Online Marketing Package for Insurance Agency. Parenting blogs are also being favorite these days. Parenting blogs are loved by a parent who gives birth to a baby for the first time & those parents who are too much busy in their work and can't think about their babies. A parenting blog must satisfy every question of parents and provide the best way to care for their babies. How to Make Money with a Parenting Blog? 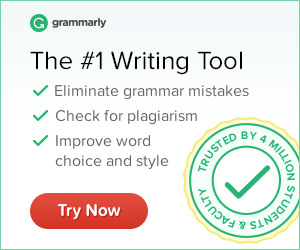 Read> How to write 100% Original High-Quality Content with Grammarly? What Moms Love is a popular parenting blog on the Internet that earns $30,000+ per month from Ads, Sponsored Content, Affiliate Marketing. The team of this parenting blog always focus on providing helpful ideas, tips, and recommendation and makes mom life much more comfortable. Swaddles n' Bottles is a parenting blog that helps a mom in her pregnancy, tips to care for a baby, breastfeeding and many more. Swaddles n' Bottles earning is $9,000 per month. Health niche ranks third in the list of most profitable blog niche for Adsense. Your health blog can get targeted traffic from developed countries as the public are more serious about health and body fitness. Cost-per-click of health blog can be up to $20 for a single Ads click in Adsense. You can write excellent health and fitness content by sharing tips like how to lose weight, how to get rid of sensitive teeth naturally, and nutritious daily diets. But in the Health & Fitness blog, you just need to have the right information. How to Make Money with a Health Blog? Avocadu is a worldwide popular Health blog owned by Alex & Lauren. The content inside this health blog is about Yoga, weight loss, hair growing tips. In these days people from all over the world are trying to make money online as a full-time or part-time source of income. So nowadays people are putting a common search query "how to make money online from home". People are searching for the best ways to earn more passive income online. You can start a blog to provide a quality method to make money online, cost-per-click can be up to $3-$5. How to Make Money with a Make Money Online Blog? Save the Student is a popular blog for students & parents that focus on helping student finance, student loan calculation, banking & budgeting ideas for students, money saving tricks, & ideas to make money online. Estimated Revenue of Save the student blog is $955 per day & $28,650 per month. Fashion is a visual niche with multi-media content to explore more about fashion & trend. If you have an interest in fashion, then it would be much easier for you to write content about fashion. You have to cover topics like What to wear to Events, Seasonable Trends, Clothing services, shoe design. You can make good online money from a fashion blog niche through affiliate marketing by selling clothes, shoes, and accessories. Fashion blog needs to have different photos, infographics which helps you to rank higher on Pinterest also. How to Make Money with a Fashion Blog? We Wore What the best popular fashion blog owned by Danielle Bernstein that focuses on Outfit, Interior, Lifestyle, Shop is. Estimated Revenue of we wore what blog is $39 per day, $1,170 per month & $14,040 per year. Blogging tutorials are mostly searched by blogger or people who want to start blogging. Blogging tutorials helps more to start a new blog or to establish as a professional blogger. If you are owning a blog and have some experience, then you can create a new blog to share the ideas and experience of your blogging days. You can share how you used to write Heading and Content, how you become a success to provide quality content, what are your blogging strategies and many more. 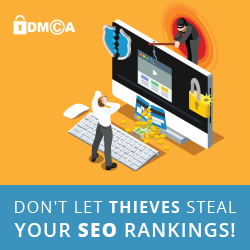 It would be much better to provide both blogging and SEO tutorials so that your visitor will get techniques to write a quality blog and rank that blog higher in a search engine. How to Make Money with a Blogging & SEO Blog? Shout Me Loud is an excellent blog owned by a famous Digital Marketing & Blogging expert Harsh Agarwal. Shout Me Loud mostly provides quality content under Blogging, Vlogging, SEO, Adsense, Wordpress, Affiliate Marketing, Email Marketing, Make Money Online, Social Media & Marketing & many more. Estimated Revenue of Shout Me Loud Blog is $1,287 per day, $38,610 per month & $463,320 per year. Revenue source of Shout Me loud is E-Book, Hosting & Domain Affiliate link. People love to travel & visit different countries and places. People need to know all the detail about the site, and the environment, hotels in that area, tourist attraction places, culture and tradition of that tourist place. So to find all the traveling details, they search on the Internet. You can give guidance to the traveler by providing all the details. Travel niche will be more creative for you because you have to do research about different places, take photographs of those places. How to Make Money with a Travel Blog? YTravel is a favorite travel blog that gives detail on travel tips, saving money on travel, guidance to make a proper plan for a trip, family travel tips, and travel resources. Estimated revenue of YTravel is $5,460 per month. DIY & Crafts, Sewing, arts are the most profitable huge niches on Pinterest. Women love to use Pinterest and search for Diy, craft, art tips and with stunning Infographics & Images, it will be easier to drive traffic from Pinterest to your blog. To start & run Diy and craft blog, you must optimize your pins with infographic & popular Pinterest Keyword. How to Make Money with a DIY & Craft Blog? Jennifer Maker is an awesome blog that writes about Home Decor, Paper Craft, DIY & share tips like how to create a family celebration & birthday board. Estimated revenue per day of JenifferMaker is $88 and $2,640 per month by selling crafting products, as well as affiliate and Adsense. A lifestyle blog that covers different topics or a multi-niche blog. Lifestyle blog covers a different type of audience, and you can not only help to solve their problem but also sell products & services to them. How to Make Money with a Lifestyle Blog? Gathering Dreams is a Lifestyle blog I love. Gathering Dreams cover topic under Food, Travel, Money and share ideas to save money, food recipes, & money making tips. Estimated Revenue per day is $60 and $1,800 per month. The Million Dollar Mama is owned by Messy (a mom) that share ideas to inspire you to live your best life, ways to make money, save money, & tips to get healthy. Estimated Revenue per day of The Million Dollar Mama is $32 and $960 per month. 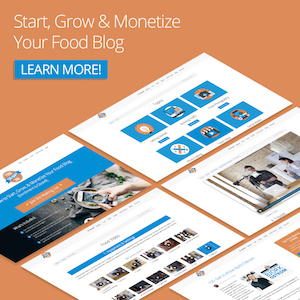 You can create a Tech Blog to generate income from blogging. Quality Content always matters so to run a Technology blog you need to have Professional Content Writing Skills which will connect you to readers. Your tech blog must not include jargons so it would be easier to read for both technical & non-technical person. How to Make Money online with a Tech Blog? Write review blog of new mobiles, gadgets & digital products and add an affiliate link in your review blog. You can write a review about best Android phones or iPhones, Laptops & earn a commission from an affiliate program. Sponsorship is for the popular blog with high traffic & user. If your blog drives heavy traffic, then many companies may offer you to promote their products in your blog. You can earn money by verifying your Tech blog in Google Adsense. As the CPC of Tech blog is also high so there is more chance to earn more money online. Tech Crunch is a worldwide popular technology blog that provides content about App, New Gadgets, tech news, events, Apple. Estimated revenue per day is $51,838 and $1,555, 140 per month. Very beautifully crafted article. Good job bro. Keep writing.